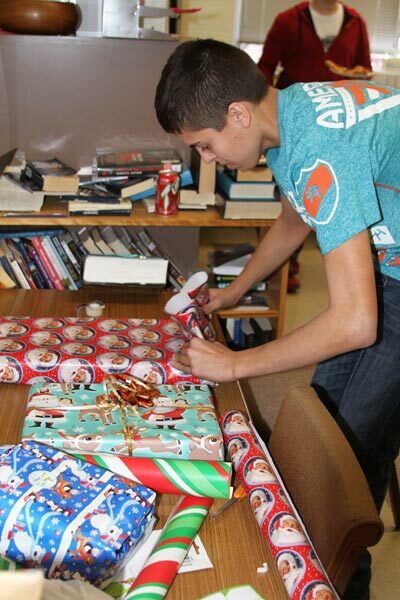 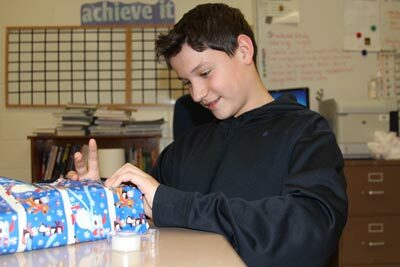 Freshman Seminar collects, wraps gifts for adopted family - Hamilton School District. 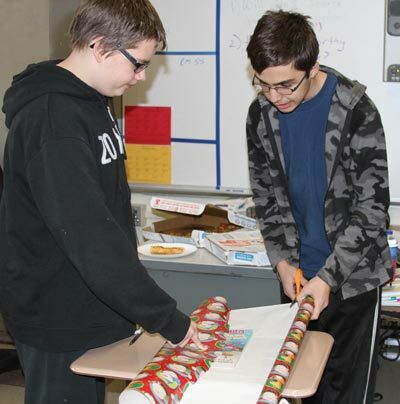 Students in Hamilton High School’s Freshman Seminar class recently spent their lunch period preparing and wrapping gifts for their adopted family. 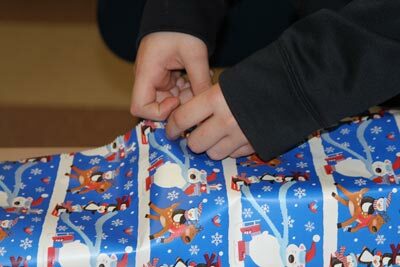 The class was given a family through the Christmas Clearing Council of Waukesha County and students signed up to provide items on the family’s wish list. 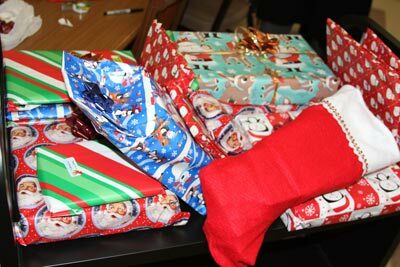 A total of 15 gifts and a stocking packed with smaller items was provided to the mother, father and five-year-old of the family. 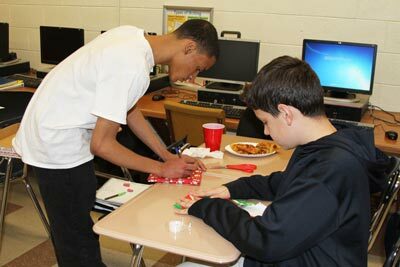 One student also brought homemade cookies from home for the family. 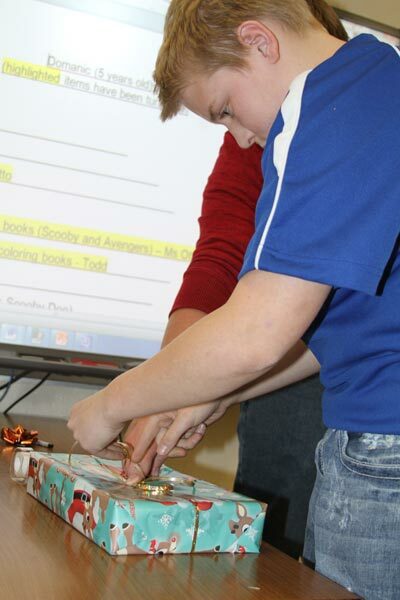 Freshman Seminar is taught by Hamilton reading specialist Wendy Otto.